Blogging is a surefire way to get quality links. According to HubSpot, businesses with a consistent blogging habit get up to 97% more inbound links. But, if you’re a new blogger, you may wonder how you can get authority links to your blog. There is no one “right way” to get links, but I can show you some proven techniques that work. Some of the link building strategies that worked in 2013 are no longer effective. In fact, you could be penalized if you try some of them – forums, directory submissions and so on. The links you really want are those that come from great content that helps people. You need links to rank highly in Google. Here are 11 effective ways for new bloggers to get high-quality incoming links. The word “resource” can be defined as, “something (or someone) that is a source of help.” For our purposes, it means a piece of content that provides benefit to your users. If you can create valuable resources in the form of blog posts, ebooks, short reports, whitepapers or videos, people will link to them. That’s over 900 social shares from a single resource post. Another great example of resource content is “Link Building: The Definitive Guide,” by Brian Dean. This resource post has been shared over 1,000 times on social media platforms and has generated links from over 140 unique domains. So, how exactly did Brian create this resource page that has gone viral, sending him authority links, search traffic and high search rankings? The answer might surprise you: he leveraged other people’s posts that were relevant to link building. He found those posts by reading other blogs and using Google. You can do the same thing. Say you’re planning to write a resource post on the topic “headline writing.” So much has been written about that topic. Avoid reinventing the wheel. Find high-quality articles and infographics pertaining to “headline writing,” as it relates to blogging and then link to them. Of course, you should also add your unique style. The above search results show you popular blog posts that you can compile into a resource for your target audience. Anyone looking for a complete guide on how to write headlines that convert would find your resource page very helpful. Write unique headlines – feel free to model someone’s headline, but don’t copy. Don’t just link to other posts. Instead, research the topic and share your worldview, based on your own experience. When you link to or reference other people’s blog page, make sure that you notify them. This could get you additional backlinks and social shares. You can also use PR techniques to position your brand for media attention. You have to understand what Smart Insights calls the “Digital Marketing Radar” and how each piece of the puzzle depends on the others to function, which in turn increases your blog’s traffic and inbound links. There are several techniques for getting other people to share your work. Of course, blogging is very effective, if you’re consistent. But, I’ve found press releases can also work well. If your press release gets picked up by media experts, you can expect other authority sites to link back to you. Another simple, but effective way to get authority links is by filling the content gap. By reaching out to your target audience where they are, you’re making it easier for people to talk about you and link to you. In other words, find something that other bloggers have missed and take advantage of it. Rand Fishkin agrees that there are potentially untapped opportunities out there for you to leverage. For example, there are almost certainly keywords in your niche that your competitors aren’t targeting. As you strive to reach the “content marketing maturity” zone, make a commitment to move beyond producing the same type of content that your competitors publish. User intent is the new SEO rule. But, that doesn’t mean that you should neglect keyword research. After all, keywords reveal the mindset of your target audience. If you can decipher their intent, your content will be more effective. A typical content gap is when your competitors only write blog posts, articles and other kinds of text-based content. They forget that 90% of the information that gets transmitted to the brain is visual. So, in that case, if you could create infographics or tap into video marketing, you’d stand out. Or, you could create free online courses, instead of asking them to download a 37-page ebook. In fact, if you already have an ebook, try breaking it up into segments of a course for people to benefit from at no cost. You’ll generate authority links through word of mouth, which is the most influential element driving sales today. Another way to get authority links to your blog pages is to harness visual marketing and get the links you want by creating and promoting infographics. They work especially well when you include reliable data and get a professional to create the right graphics for it. We often trust what we see. This means that if your ideal audience can graphically see what you were trying to express with plain text, you’ll get more links. This is why photos and images get the most Twitter engagement. And, Instagram is increasingly popular, making it one of the most loved social media networks in the world. According to Cooler Insights, 40% of your audience prefers visual content over plain text. Competitive auditing is the process of studying your competitors to determine their competitive edge over you and developing a strategic action plan to outperform them. Leveraging your competitors’ efforts lets you stop struggling with new strategies because you know what works to improve search rankings in your niche. In every industry, there are strong competitors that you must contend with. You don’t have to fight them anymore. Instead, you can complement their efforts. That’s the essence of competitive analysis. If a competitor has gained a few links from five authority blogs and, as a result, is in the second position in search results pages, all you have to do is find out how they did it. Then, you can outsmart them gradually. Identify your competitors by their site urls. Find out how many backlinks their site has. Find out where the links are coming from. Go the extra mile to get backlinks from the same authority sites (and others). This practice reveals that the SWOT status of your competitors, thus putting you ahead in the search results pages. Step #1: Go to SEMrush.com. Type your main keyword (e.g., content marketing) into the search box. Click the green “SEARCH” button. Step #2: Choose your competitors. On the SEMrush results page, scroll down and you’ll see sites that rank for your chosen keyword. Step #1: Visit OpenLinkProfiler.org. Plug in your competitor’s URL (e.g., copyblogger.com). Click “Analyze Backlinks” button. Step #2: Review the list of links. Take note of the unique active backlinks, the industry and the influence of the links on search rankings and performance. Alternatively, you could verify the number of backlinks, using Ahrefs.com. This is important, if you want to be sure that Openlinkprofiler’s data can be trusted. To find additional inbound links for your competitor’s URL, use Backlinkwatch.com. The final piece of the puzzle is to find ways to get links from these authority sites. You could use broken link building (more on this later), guest blogging, blogger outreach, PR, networking and several other link building techniques. Links are still the currency of the web. Trusted links make up a significant portion of Google’s 200 ranking factors. One survey found that links (internal and external) primarily dictate where your web page is ranked. If you approach link building the way others have in the past, you could face a pretty tough challenge. There are other ways to go about it, though. For example, Brian Dean of Backlinko, increased his search traffic by 110% in 14 days, partially because he employed broken link tactics as part of a broader strategy. Broken link building or dead link building has become a very popular topic. But, most new bloggers aren’t using it to get authority inbound links. Broken links are dead links – links that lead to nowhere. When users click them, they’re redirected to an error page. If your site has too many broken links, it can harm your rankings or get your site penalized. As a new blogger, you can easily find broken links, then contact the site owner to let them know about it. But, don’t stop there. Suggest your own web page as a replacement for the dead link. Step #2: Go to the Dead Link Checker. Plug the web page URL into the search box. Click search to find broken links. Step #3: Find broken links. Any link marked [X] is broken or dead. You’ll want to make sure that each link marked [X] really is broken, so click on each to verify. If you find a 404 error page, then you’re on the right track. Step #4: Write your outreach email. When writing this email, forget about ego or how useful you are. Focus on the benefit that your web page will bring the recipient’s readers, if they include your link. Here’s a sample broken link email template that you can model. Study the structure, then adapt and personalize it for your purposes – note that this email is for submitting someone else’s link. You’ll want to mention that the link you’re submitting is something you wrote. Step #5: Contact the site owner. Visit the resources page (not the broken web page itself, of course) and click on the contact form. Next, fill out the contact form and make sure you address the site owner by their first name. This would appeal more to them, as though you already know them personally. Remember that the results of broken link building efforts can vary wildly from person to person. For example, Gab Goldenberg emailed 40 blog owners, showed them the broken links and suggested a replacement link. Out of those 40 people, seven replied and linked to his web page, while two replied to thank him, but didn’t link back. A roundup post gives you the ability to share 10, 20, 30 or even 100 links and strategies from industry experts in one single blog post. Brian Lang attracted over 4,000 social shares when he created a roundup post on blog promotion tactics. The objective here is to interview as many influencers as possible and to create a high-quality article that other people will link to, including the experts that you interviewed. David Siteman Garland, founder of The Rise to the Top, has interviewed Tim Ferriss, Seth Godin, Tony Hsieh (founder of Zappos) and several other influential people. He was once a new blogger, but successfully cracked the code. One-on-one interviews are powerful ways to get links. You need experts and authoritative sites to link to you, if you want to rank highly in search engines. Ranking highly results in an increased conversion rate, because 60% of organic clicks go to the top three results. If you have the right tools and equipment, you don’t have to be physically present to interview experts. I think interviewing influencers should be an integral part of your content marketing efforts. If your competition is a blogger who publishes content everyday, while you interview well-known experts once per week, you’ll still come out ahead. That’s how powerful interviews can be. Cindy King interviewed 9 experts recently and turned the interview answers into a helpful blog post published by Michael Stelzner, founder of SocialMediaExaminer.com. The key to success here is relationships, so start building them today. If you can interview an influencer that the ordinary person can’t easily get expert advice from or access personally, you’ll get links. Cindy King followed this strategy. She identified nine social media influencers, read a few of their blog posts and started engaging with them on social media networks. The moment a certain level of trust had been established, she sent them a questionnaire. If you’re presented with an opportunity to meet a well-known expert, buy them a nice meal and ask some questions. Or, you could send your interview questions via email or schedule a Skype chat. Let’s say that you want to write a detailed blog post that will teach your readers how to “grow their email list.” You could find other top bloggers who know a lot about email marketing and interview them. Once you get to their Twitter profile, you can follow the expert and retweet or comment on their tweets. Continue building a relationship with them. It’ll go a long way to help you get answers to the questions that you’ll eventually ask. Ask creative questions. Top influencers are always busy. So, if you want to get them interested, you have to approach them creatively. Don’t just throw bland questions at them. Share your plans to send new customers to their blog as a result of this interview. Ask them to send their selected URL, so that you can link back to it, thus giving them natural inbound links and traffic. In your questionnaire, don’t ask influencers what their best tools are. Most of them will not respond to that question. Rather, express your passion for the given topic and ask them to share 2 – 3 of their best pieces of advice for beginners. Since most experts love to help beginners, many will send you valuable feedback. However, you may want to err on the side of sending requests to a larger number of experts, since some may not respond. Know your readers and what they’re struggling with. Expand the answers you got from experts, if necessary, to turn them into actionable tips. Support any personal opinions with data & statistics wherever possible. Use the expert’s personal photo. Link to the expert’s best blog posts. Make sure that the post is useful. Does it work? Yes, interviewing top influencers and collecting their responses into roundup posts absolutely works, if you’re consistent at it. Take Navid Moazzez, for example. In 2014, he was finally able to quit his job. He built his blog by interviewing social media influencers. He increased his blog traffic and now earns a full-time income online. Do you know Andrew Warner? He founded Mixergy and so far, he’s interviewed more than 1,000 influencers in different industries. Note: Make sure that you promote the interview content to reach more readers and generate more authority links. Every piece of content that you’ve ever written and published still has potential. Someone, somewhere is desperately looking to learn what those posts teach. Leftover content can be delicious! Link building has now gone way beyond article marketing and blogging. Think outside the box. For your incoming links to look natural, you have to provide value to readers. Even if you’ve never written a viral blog post before, you have some posts that did well or at least better than others. You can reproduce that content, improve on it and update it to generate fresh backlinks. To “reproduce” in this concept doesn’t mean that you should duplicate the content and publish it somewhere else. This will only get you penalized by Google. Instead, repackage the content in another form. For example, you could turn an article into a SlideShare presentation or an ebook and distribute it to a new audience. Keep in mind that you want to repurpose content with a purpose – to drive traffic and build authority links. If you want more people to access your content, put it in formats that they find interesting. This will boost your referral traffic and increase your conversion rate. The chart below shows the increase in downloads when an article was repurposed into an ebook. Content repurposing is all about giving new life to your old posts. Maybe you published them days, months, weeks or even years ago, but weren’t satisfied with the impact they made. You can make them better and package them in a way that will appeal to your target audience. You know that most people prefer visual learning (infographics and videos) and that others love to listen (podcasts). The most effective formats for repurposing content into are shown below. These strategies have been endorsed by content marketing influencers, including Mark Schaefer, a social media author & consultant. Step #1: Find your most shared content. Which of your blog posts have the most social shares and the best engagement? The only way to know is to plug your site URL into Buzzsumo.com and check it out. Let’s try it, using this blog url (neilpatel.com). Step #2: Make an outline for your slides. Go through the post, pick out some key points and create an outline. Use bullet points to show what you’ll write in each of the slides. The right images on the web may come with copyright restrictions. Make sure that you understand them and comply with the requirements. Step #4: Create your slides and content. You can create a Slideshare presentation with Microsoft PowerPoint. It’s what I use, because it’s easy and compatible with modern web environments. You can also use Google Slides. Ana Hoffman got 243,000 views in 30 days from a few Slideshare presentations she created out of repurposed high-quality content. Guest blogging is a marketing strategy that works. It increases blog traffic, too. Guest blogging took off in popularity around 2011. Since then, I’ve generated more inbound links than I can track, using this strategy. Truly, guest blogging builds authority links like no other content marketing strategy. Lots of today’s most influential bloggers and marketers built a loyal audience, acquired high paying clients and enhanced their brand through guest blogging. Recently, Josh Giardino wrote a guest article for Distilled.net, titled “Google…Stop Playing, The Jig is Still Up!” That post then hit the Hacker News front page and, in just three days, Josh generated 13,075 visitors to his blog and earned 75 links. Guest blogging by itself is amazing. But, if you want to increase your odds of success, take it a step further and do thorough research before writing a guest post. Not every blog is created equal – and you’re not obligated to pitch every blogger. Research gives you an edge over other guest bloggers. Be selective about your approach. Time is precious and you want to invest it wisely to reap the rewards. Advanced guest blogging looks more at the long-term results, not just the immediate traffic and links. Step #1: Find authority blogs. I’m talking about blogs that receive thousands of organic visitors on a daily basis and have a huge following on Twitter and Facebook and that are ranking on Google’s first page of results for your main keywords. In order to find them, just go over to Google and type in a headline that has your keyword in it. Step #2: Analyze the top five results. The blogs above have good standing with Google, which is why they’re able to rank so well. That means that if you eventually get your guest post published on any of those blogs, you’ll eventually rank for your main keyword. In order to analyze the results, click on one of the blogs to see their popular posts. Step #3: Upgrade the headline. There’s no doubt that the headline is the most important element in your page copy. Can you improve on a headline you saw in the archive? By crafting a more clickable one, you can improve your chances of getting invited to guest blog. Even though the headline succeeded in ranking highly, the click-through rate might be low, because it’s long and therefore not as attractive to users as it could be. Let’s upgrade the headline, make it specific and under 65 characters long (the maximum number of characters that will show in Google search results). Step #4: Pitch the blog owner. Now that you’ve crafted an attractive headline, it’s time to pitch your targets. When writing your email, remember to tell the blogger that you’ve enjoyed reading their post – that it inspired you and that you’d like to build on their work. If the old post was 1,300 words long, propose a post of 1,500 – 2,500 words. Content length affects rankings and longer posts will generate more social shares. Include plenty of charts, data and screenshots (Evernote’s Skitch makes that easy) to explain complicated concepts and instructions. you, this is a great resource. You truly know how to appeal to emotions. Your post inspired me to dig deeper on this topic. how to implement it and get results within 21 – 45 days, as a case study. Would you like me to write and send it over for review? Note: When you pitch any A-list blogger, make sure you address them by their first or full name. That way, they’ll feel more inclined to read and respond. Charts and data tables are great for visual marketing. One study found that content with compelling graphics and visual elements can generate over 90% more click and views. You can more effectively communicate information by taking a visual approach. Visual information – images, photos, infographics, charts and so on – routinely get more shares on social media networks. This proves the importance of using image-based elements to convey your message to your target audience. How can creating charts and data tables generate authority links for you? Throughout this post, I use lots of charts and statistics to back up facts – thus making the post data-driven. I also link to the exact web page where I got those charts and images. This is a natural link for the person who created or first syndicated that chart. Once you start creating charts based on experiments and results, you should expect smart content marketers to use them and link back to your site. Step #3: Add data. What information do you want to appear on the chart? Add it here. Step #4: Choose your labels and fonts. Step #5: Save your chart. Just right-click the chart and select “save image as.” Save it to your PC and you’re good to go. 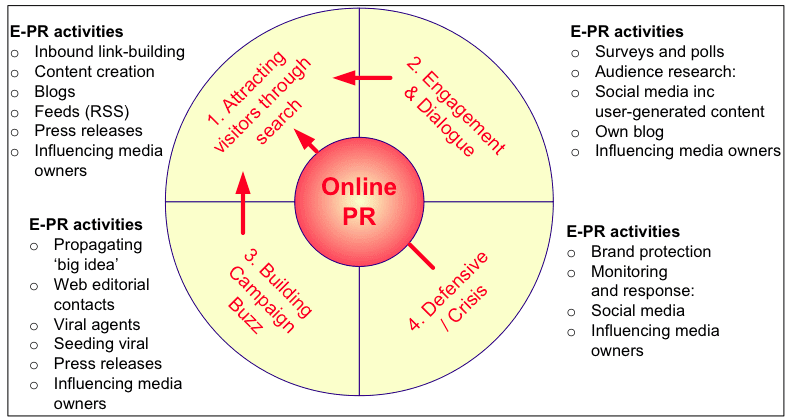 Now, when you write blog posts about the topic, you can reference the chart. Eventually, other people will start linking to it, giving you and your site credit. Note: When creating your chart, don’t manipulate data or results. A chart is supposed to showcase the results you actually got, good or bad. An accurate chart will build your brand and create a reputation of expertise. An inaccurate one will destroy your brand and cause people to lose all faith in you. According to Gretchen Rubin, “Self-expression is the new entertainment.” And, no doubt, blogs can get people talking. As a new blogger, one of the easiest ways that you can start making an impact in the blogosphere is by leaving valuable comments at other blogs. If guest blogging is one of your goals, it’s especially helpful for you to start off by contributing comments. It’s an easy way to form relationships with more experienced bloggers who can serve as mentors for you. I’ve been successful with comments. I’ve written 249 comments on other blogs and, as a result, generated $25,000, as well as inbound links. Under no circumstances should you ever leave spam comments. The web receives over 7.5 million spam comments per hour already. Don’t contribute to the noise. Stand out and make your comments meaningful and substantive. On YouTube, Reddit, Twitter and blogs, comments can boost engagement and add to the value of a piece of content. Keep in mind that the objective of writing valuable comments on other blogs is to creatively weave your relevant article into the body or to use your name as the anchor text. I prefer the latter. Here’s an example: Ajay contributed a short, but useful comment to one of my recent blog posts here. He linked to a post and I didn’t see it as spammy at all. In fact, I promised to read it and actually did. Ajay got a link from me, because his comment was valuable and on point. However, if your want your comments to be truly valuable and appeal to the blog owner, as well as his or her readers, try to write a comment with at least 200 words. Note: When you follow this strategy and write valuable comments on other blogs, you’ll find that your comments will be approved, even when you add links. However, make sure that you’re commenting on blogs that are both relevant and active. One word of caution: don’t expect your rankings to improve overnight. Link building takes time and you have to be patient while you concentrate on building your audience. Most comment sections use nofollow tags, which means that they don’t pass link juice or affect your search rankings. Still, it’s always good to get those authority links and start gaining traction and, of course, traffic. Throughout this article, I’ve walked you through eleven effective strategies for gaining authority backlinks. But, what about content? Blogs work best when they’re consistently updated. Your visitors want fresh content. This means that, above all else, you should absolutely plan your content and publish it regularly. Every step that you take as a new blogger should be geared towards enhancing your personal brand, so that the ideal people will read your content and share it. As long as you’re generating leads with your content, it means that your users find it useful and actionable. Eventually, other blogs will start linking to your content of their own accord. Are you a new blogger? What are you doing to get authority links back to your site pages?